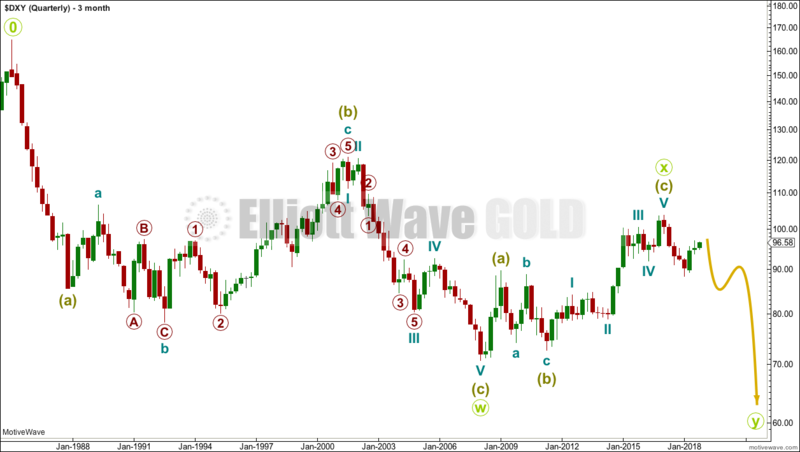 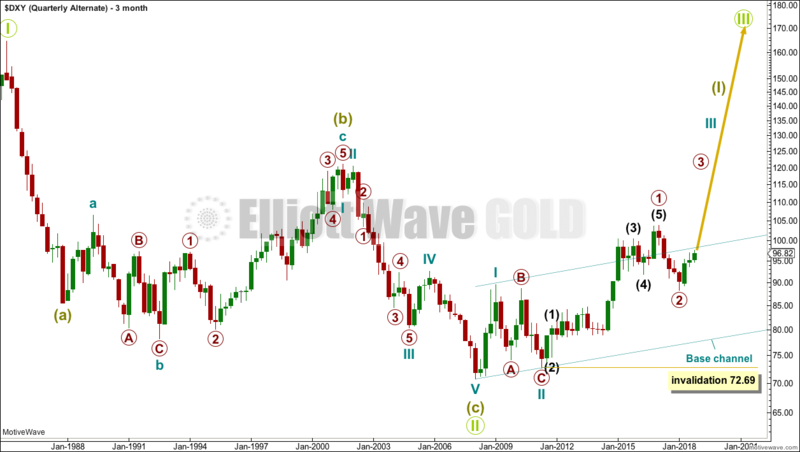 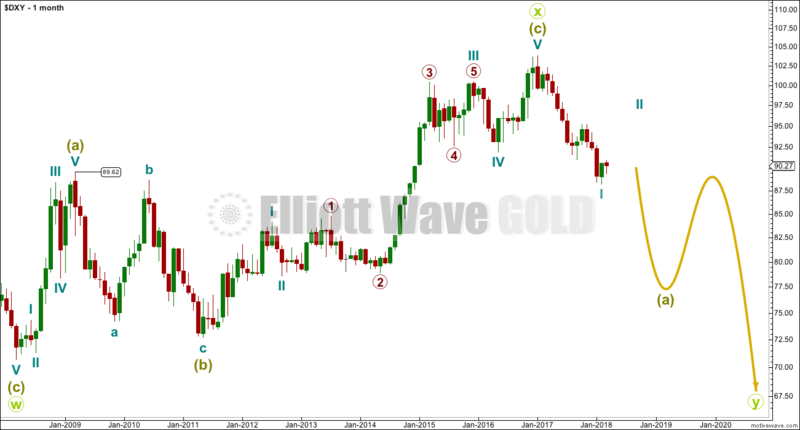 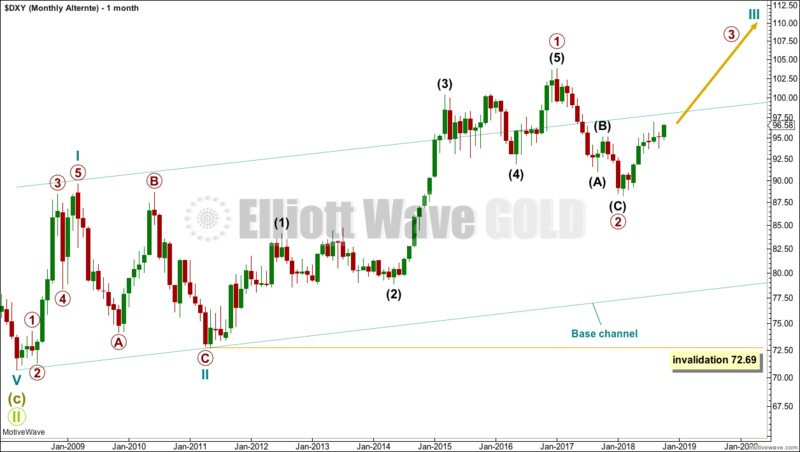 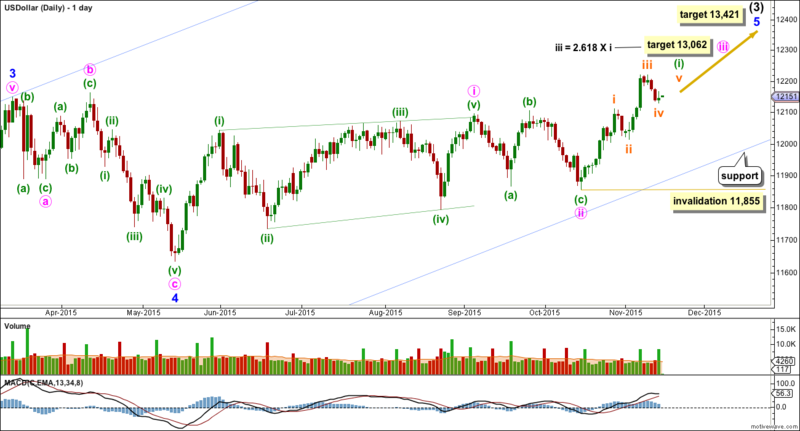 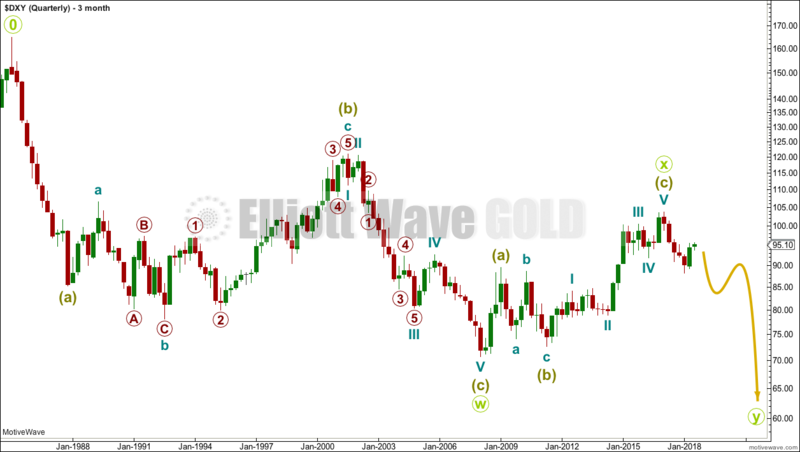 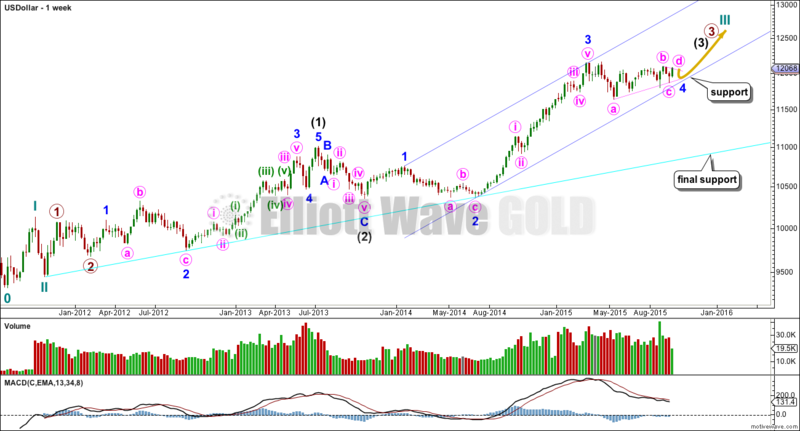 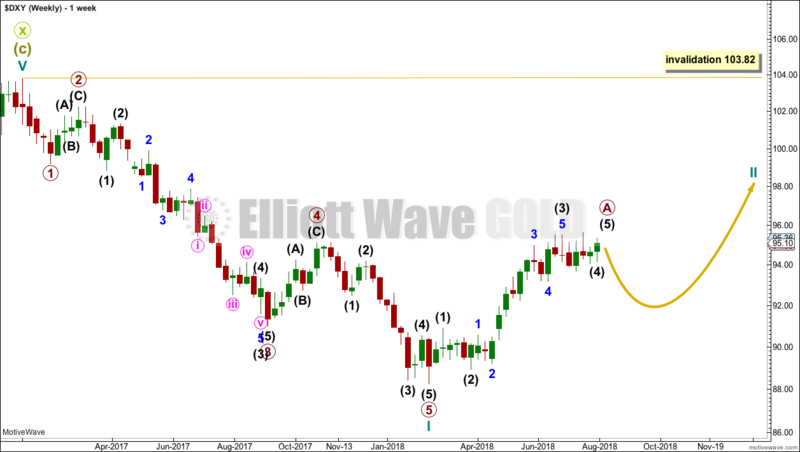 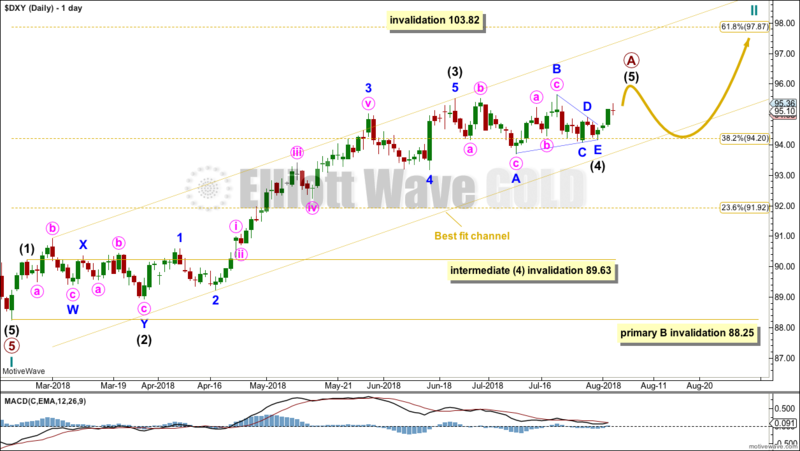 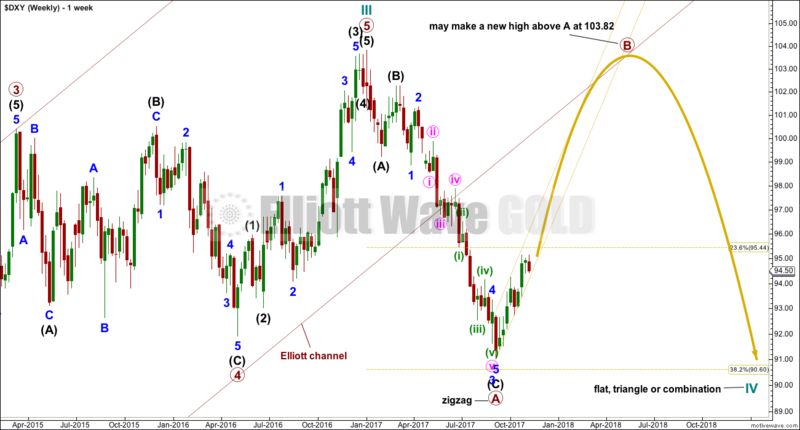 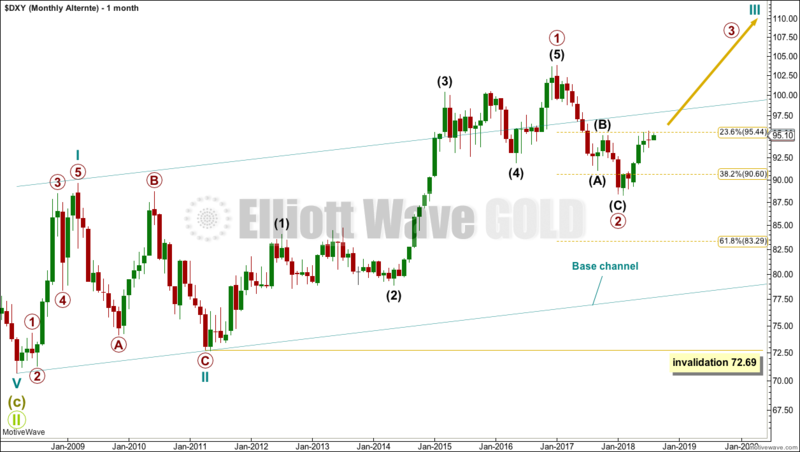 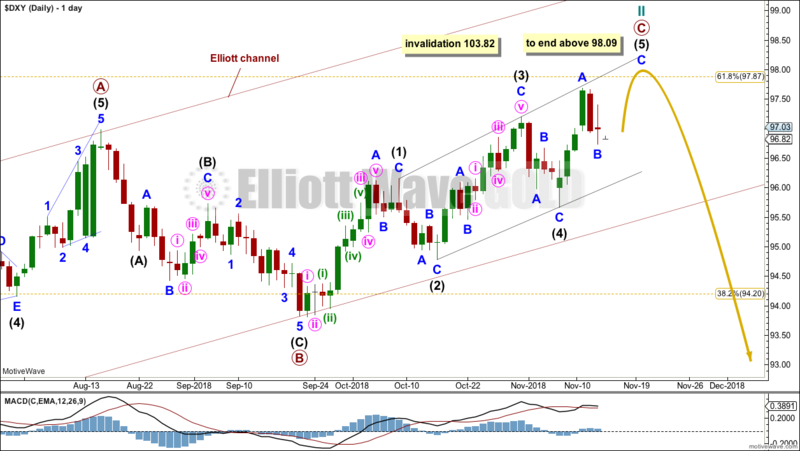 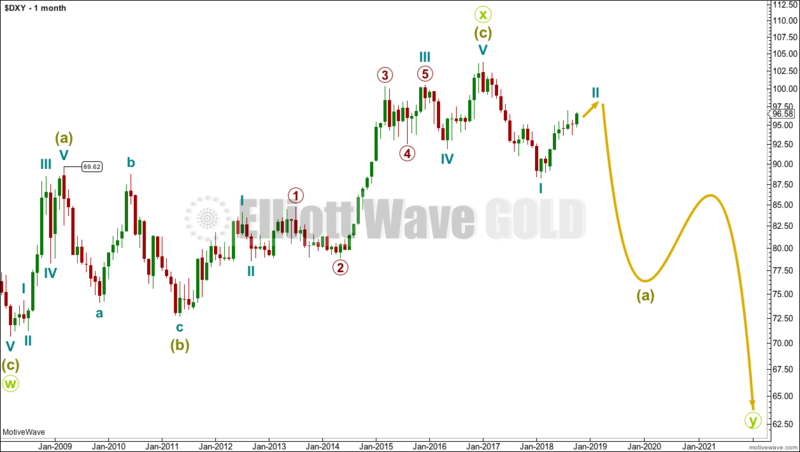 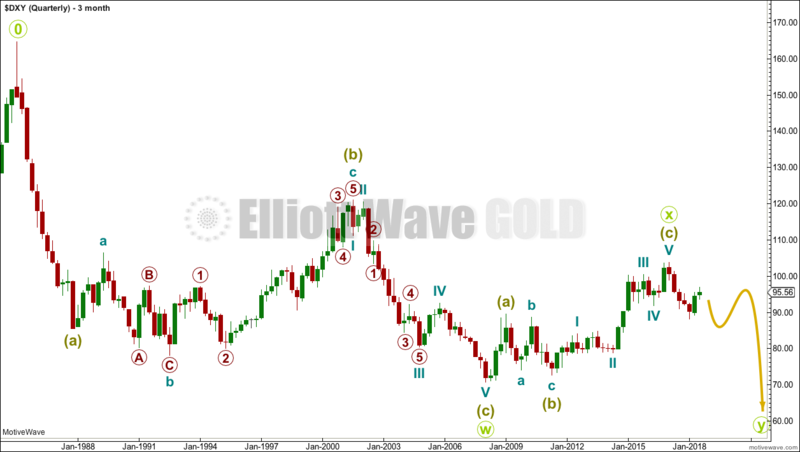 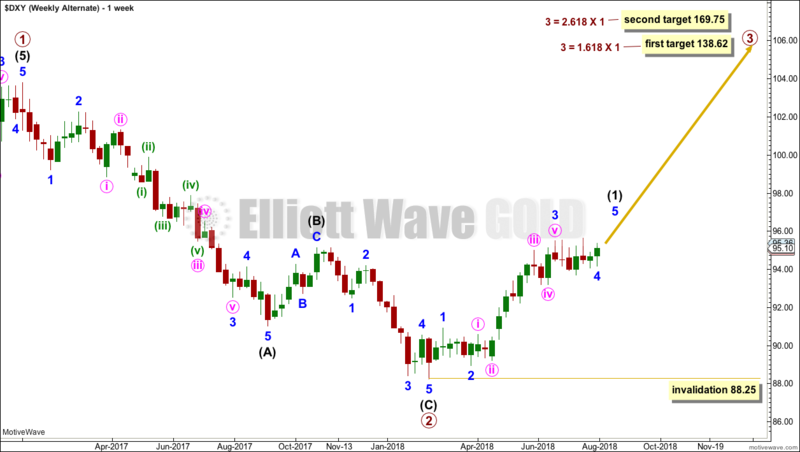 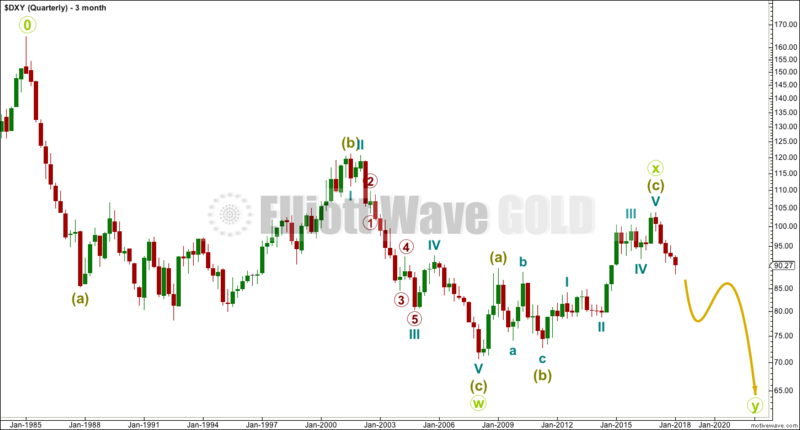 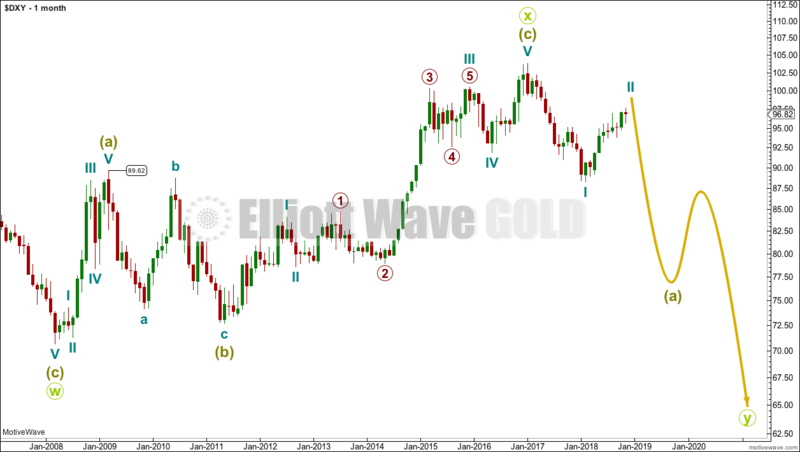 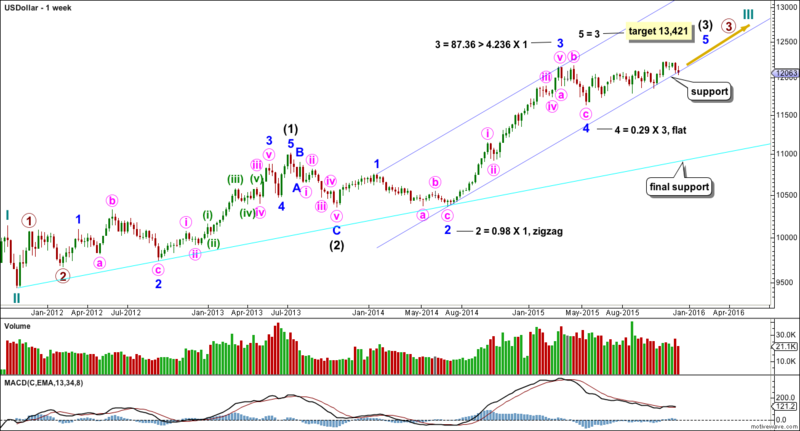 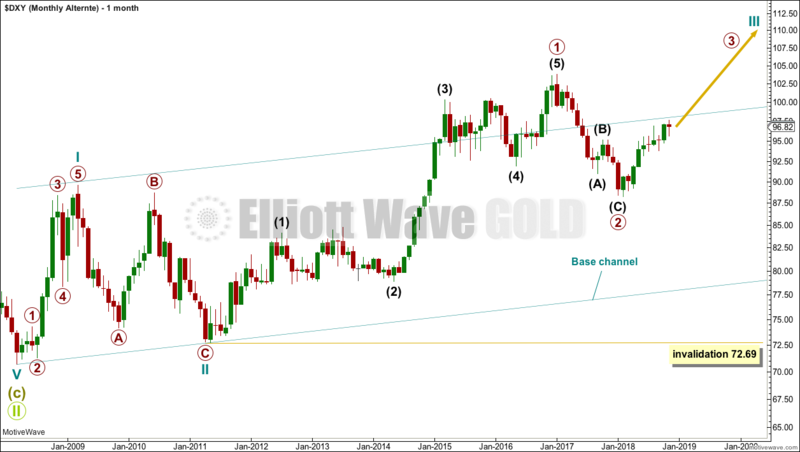 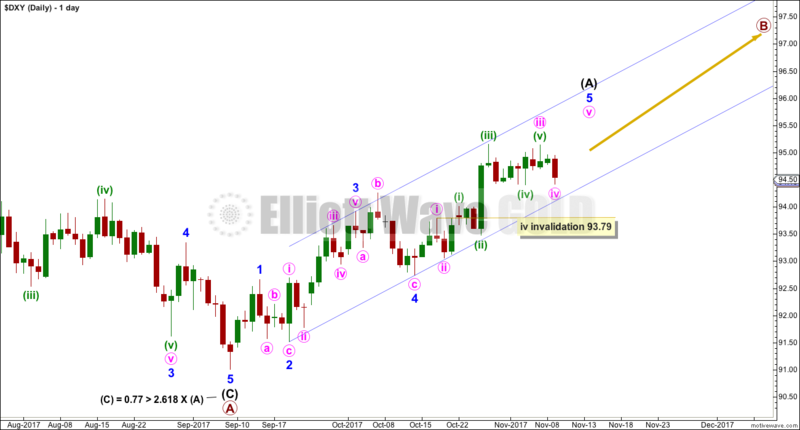 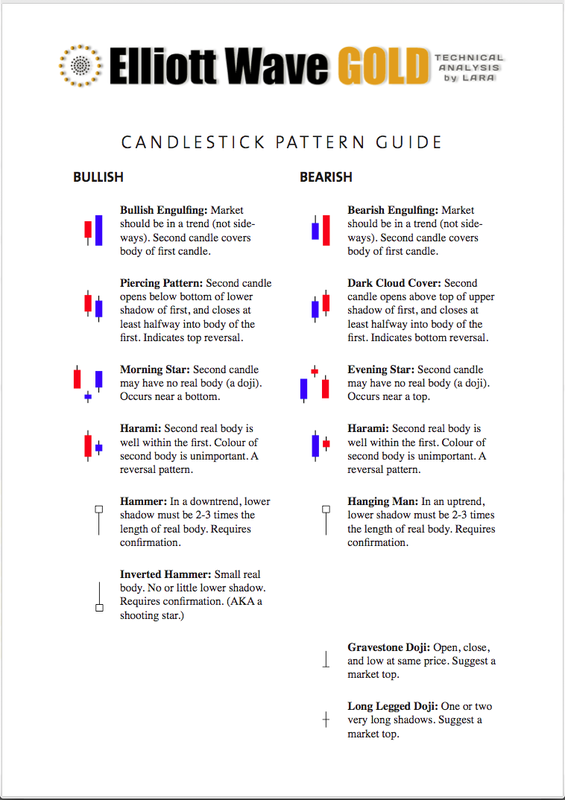 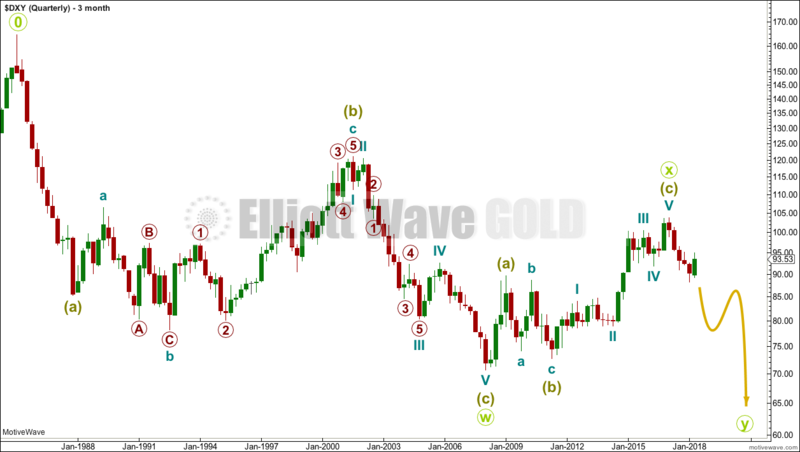 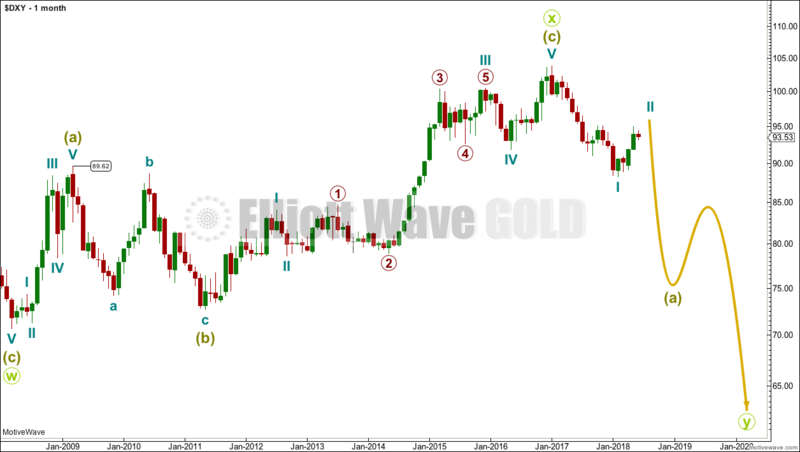 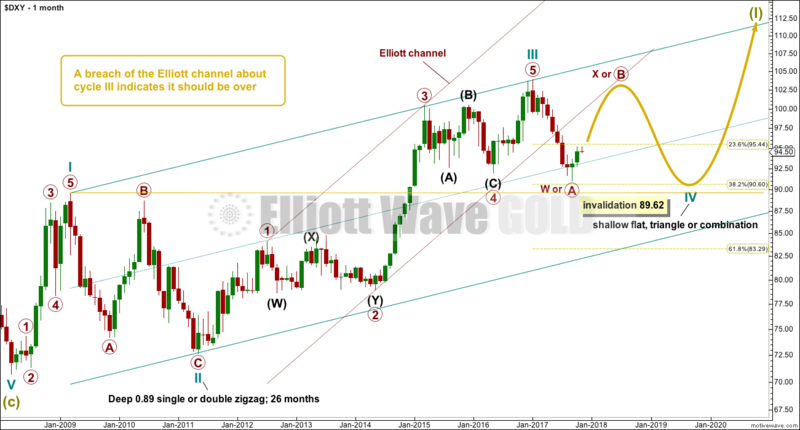 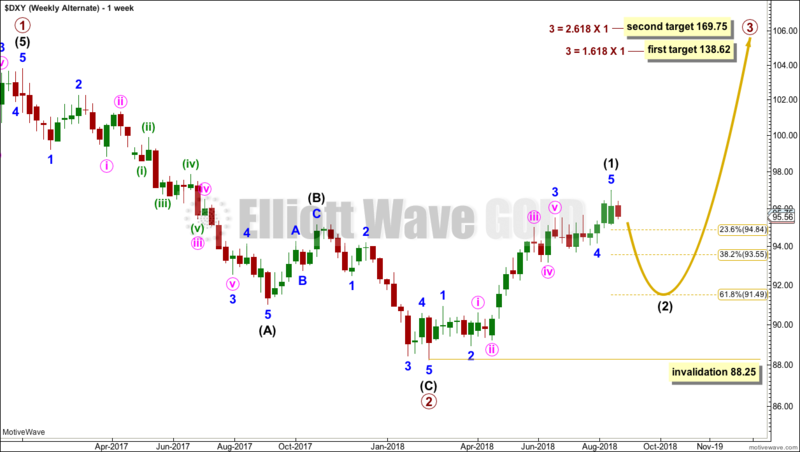 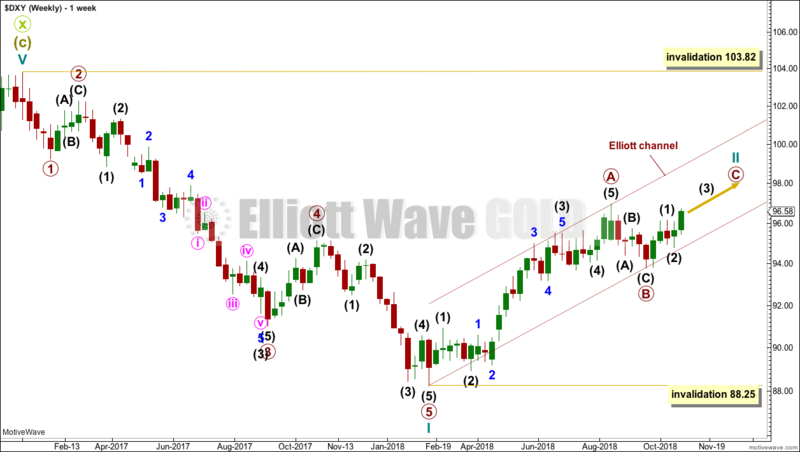 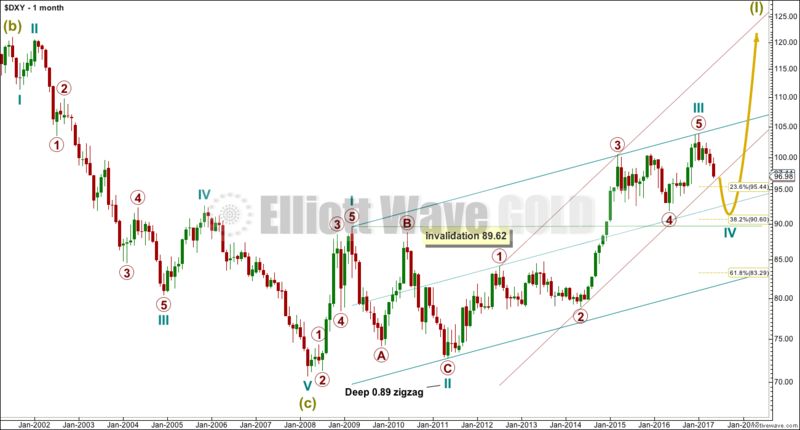 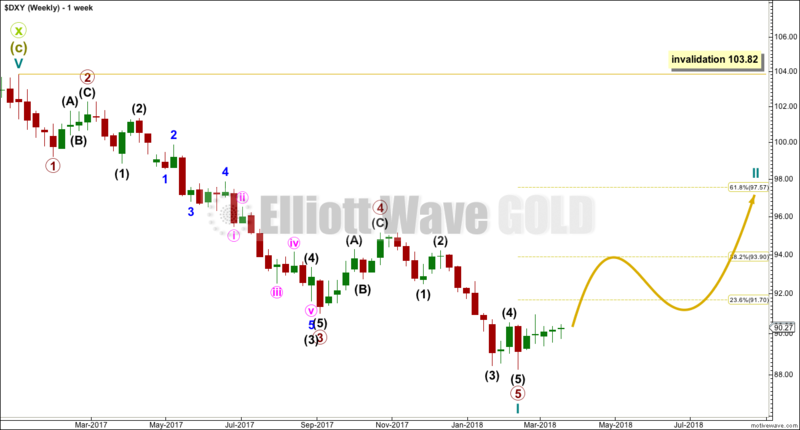 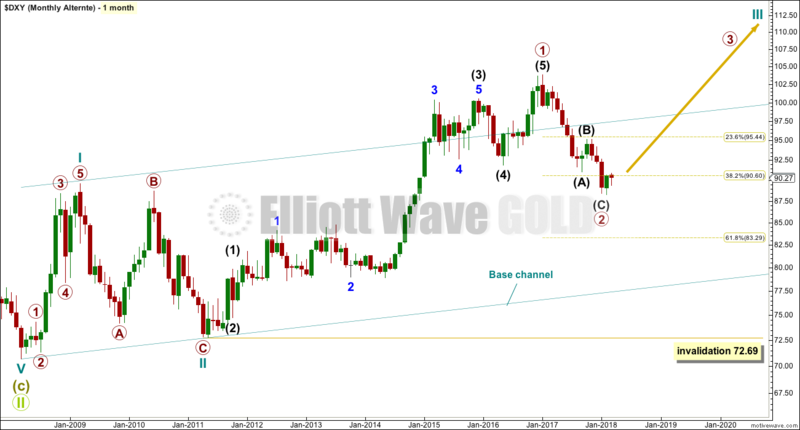 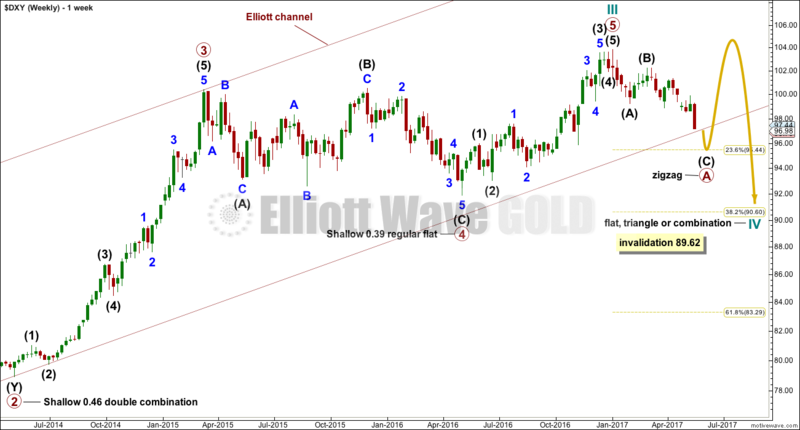 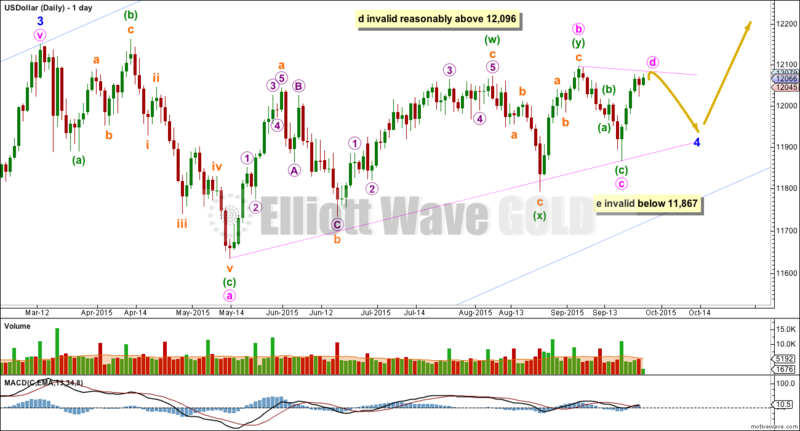 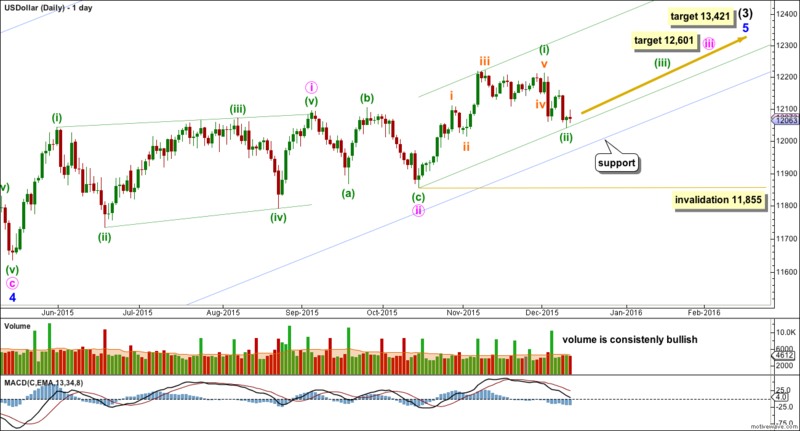 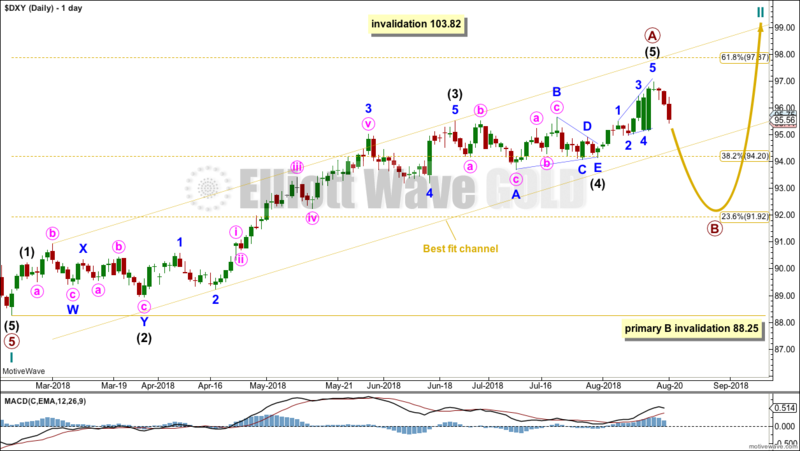 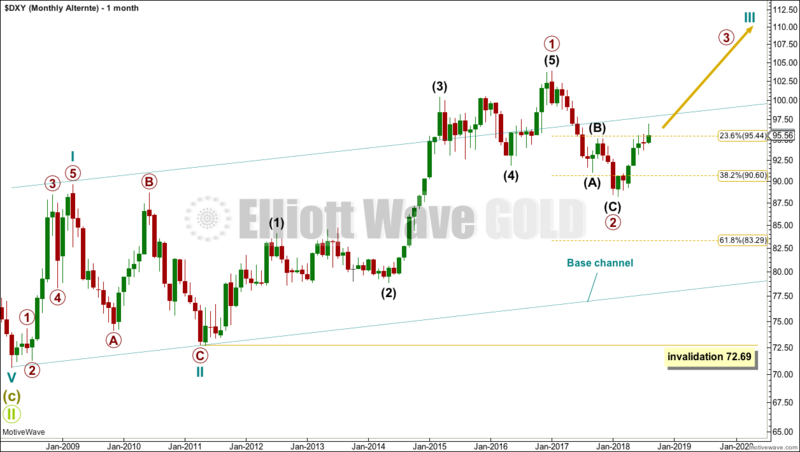 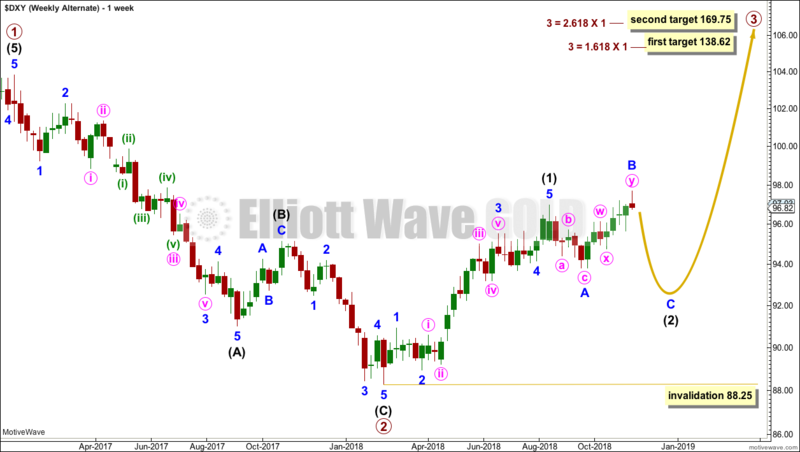 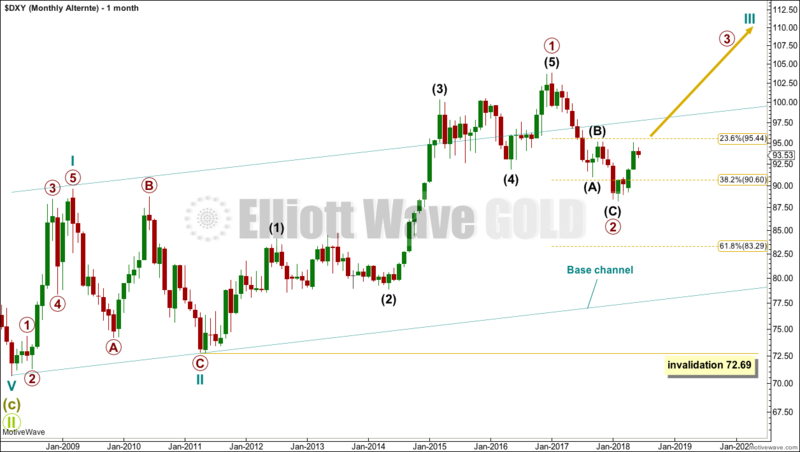 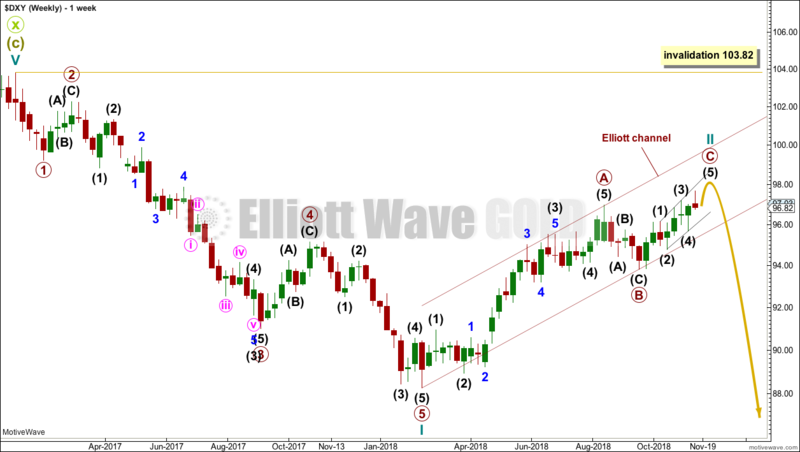 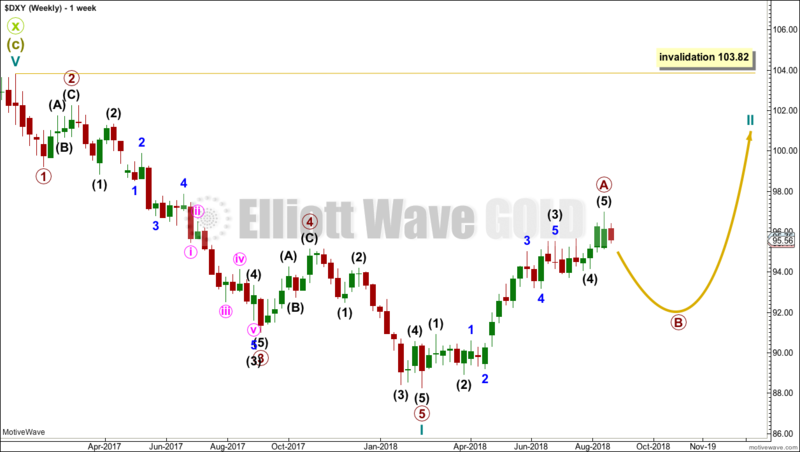 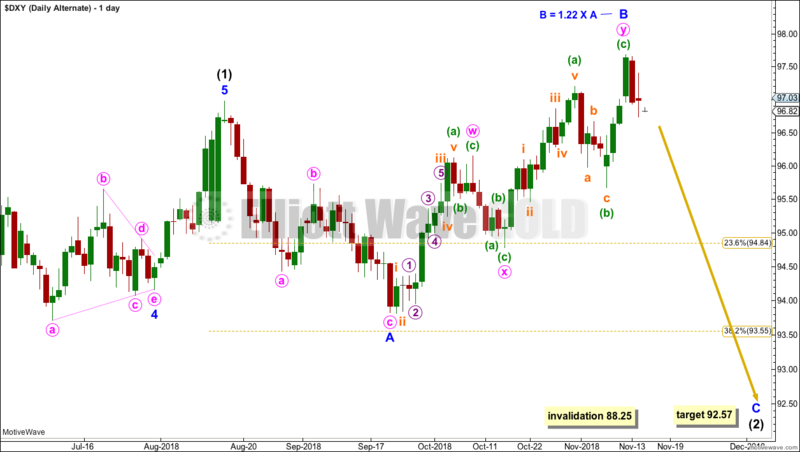 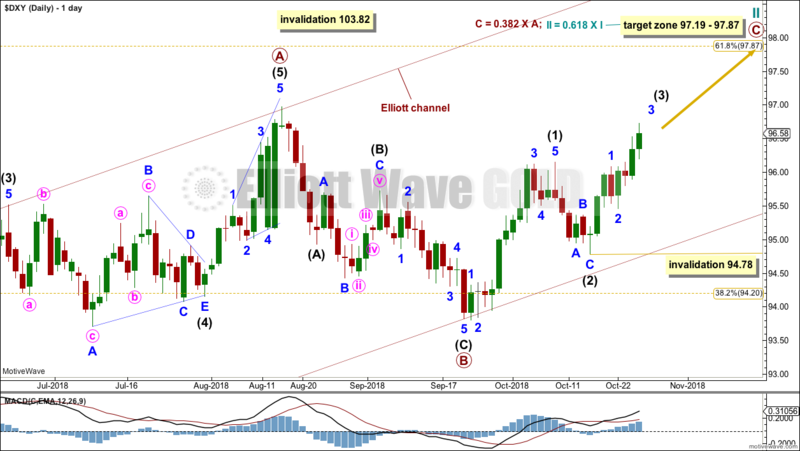 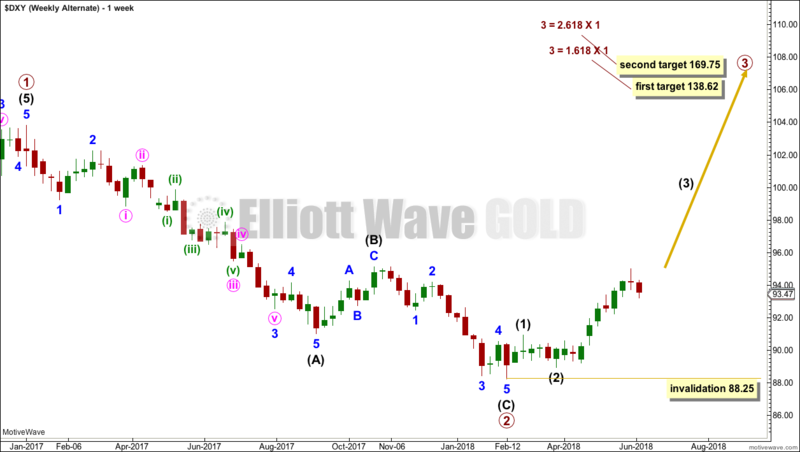 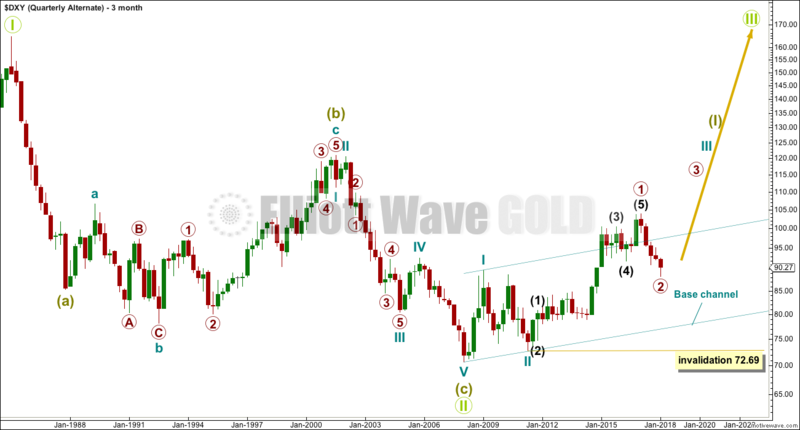 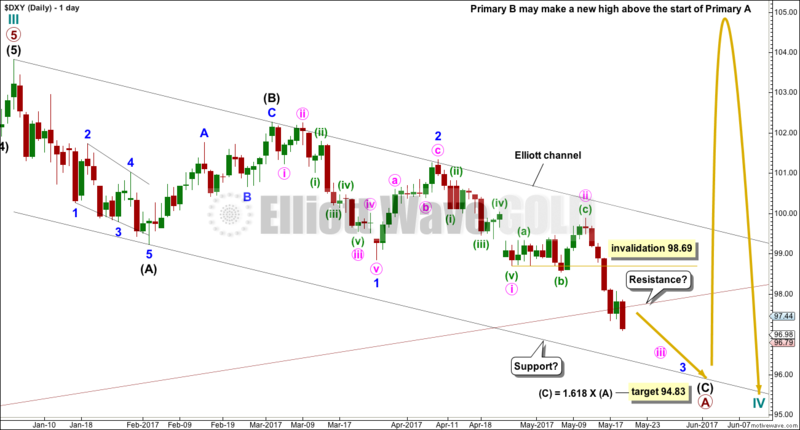 A quick analysis today with a bullish and a bearish Elliott wave count, and classic technical analysis. 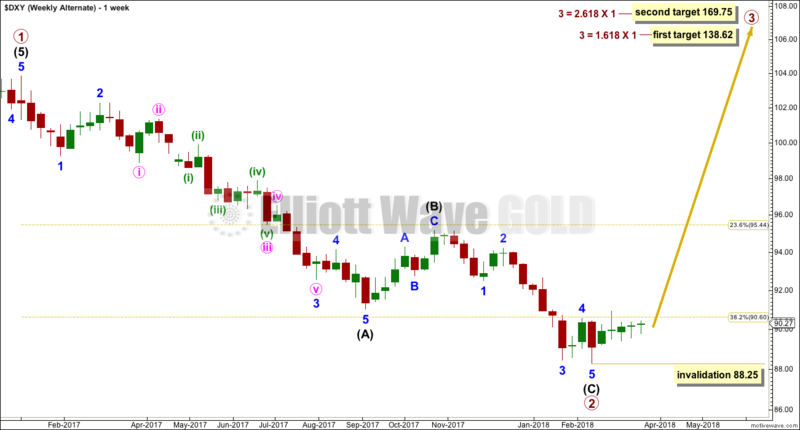 This cannot be a fourth wave correction within an ongoing impulse higher because a new low below 89.62 has recently occurred, which would be back in first wave price territory. 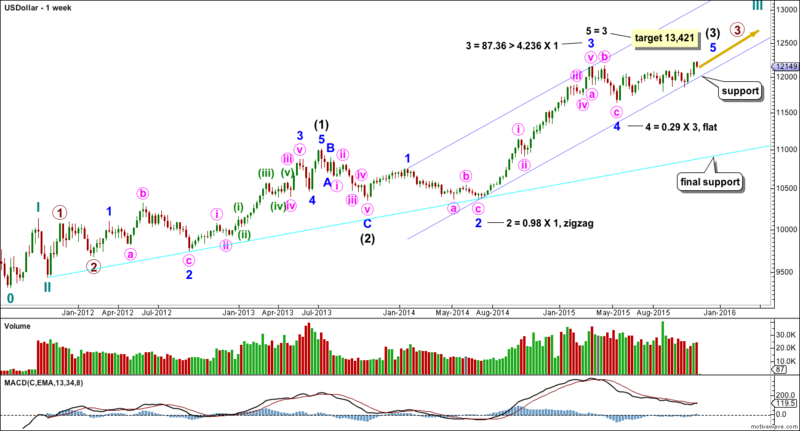 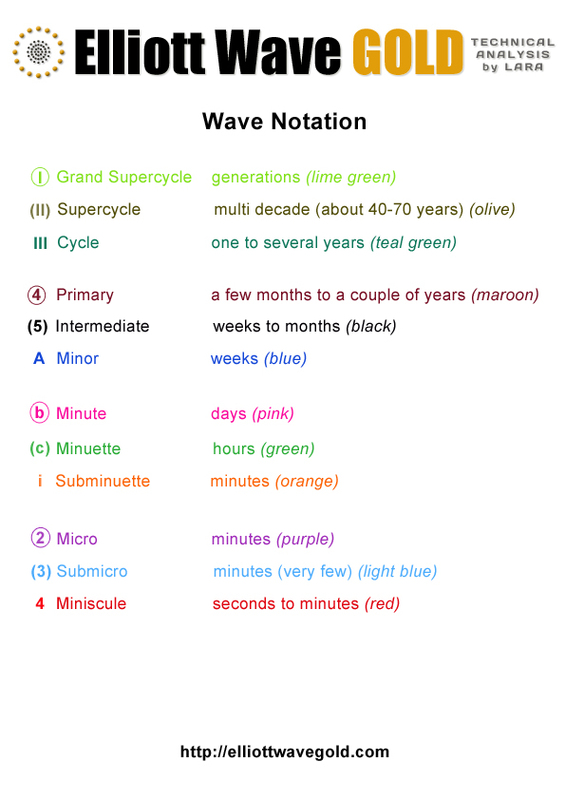 A five down may be complete within the new trend. 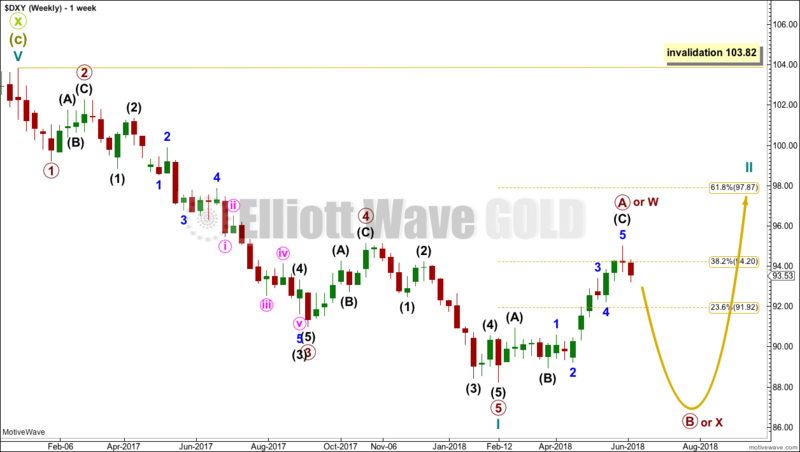 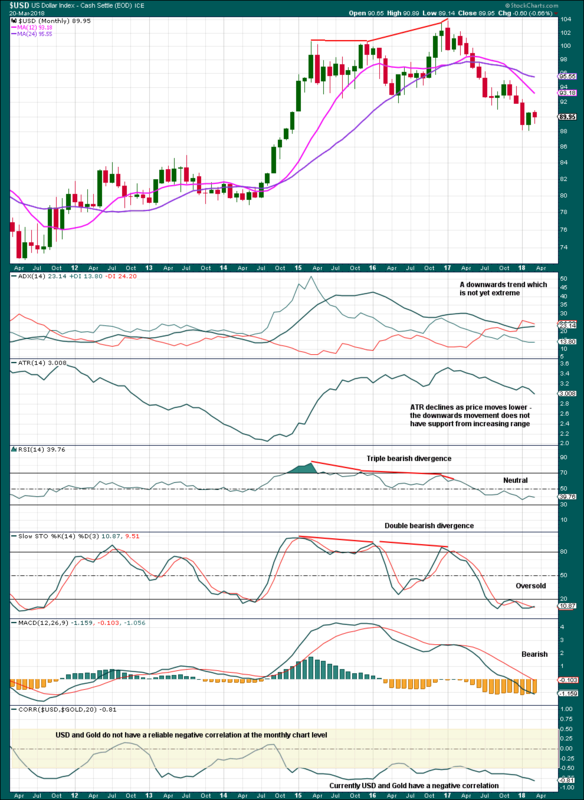 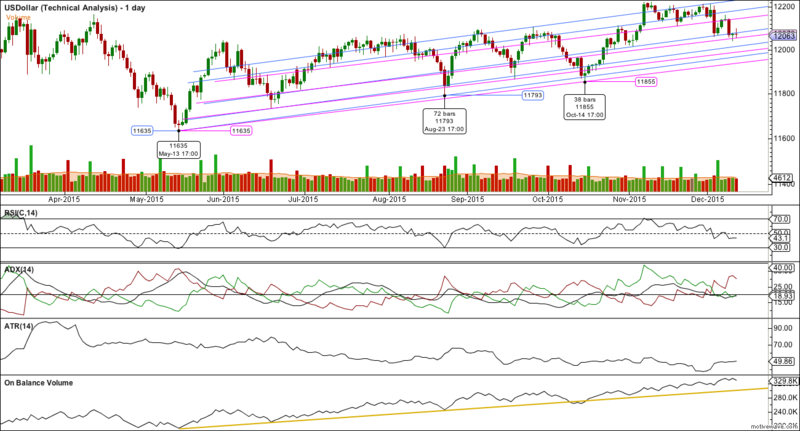 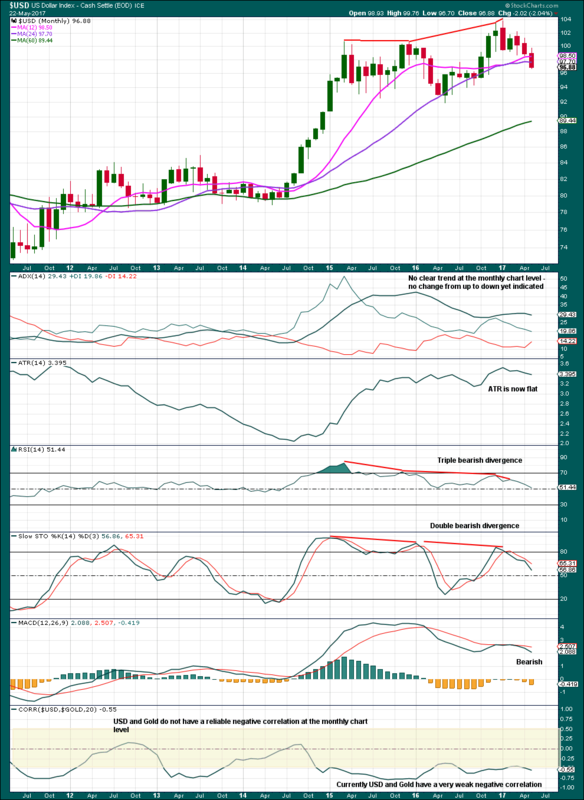 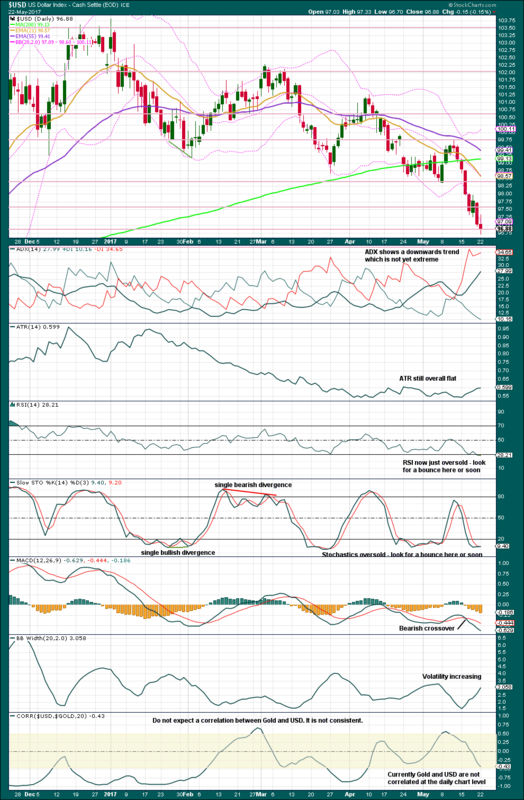 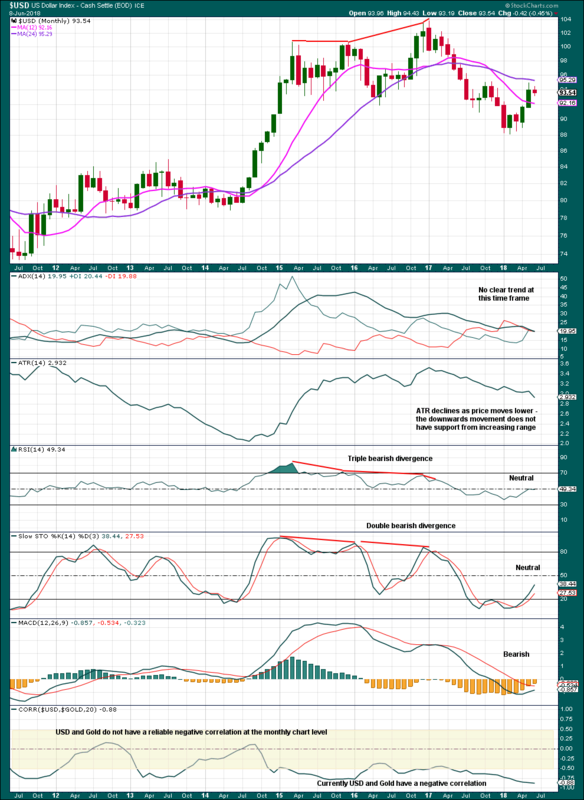 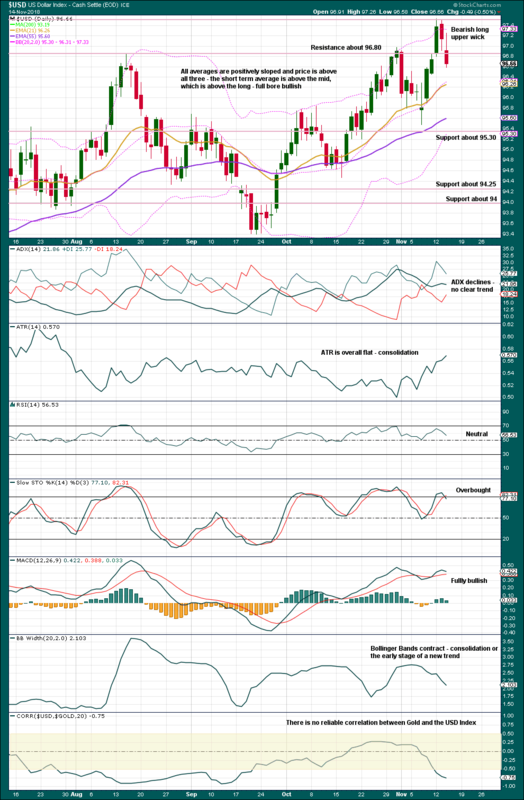 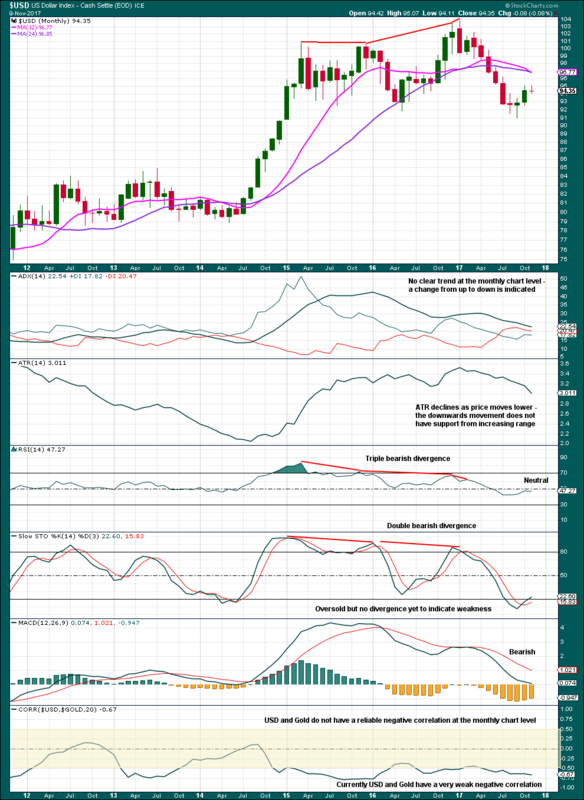 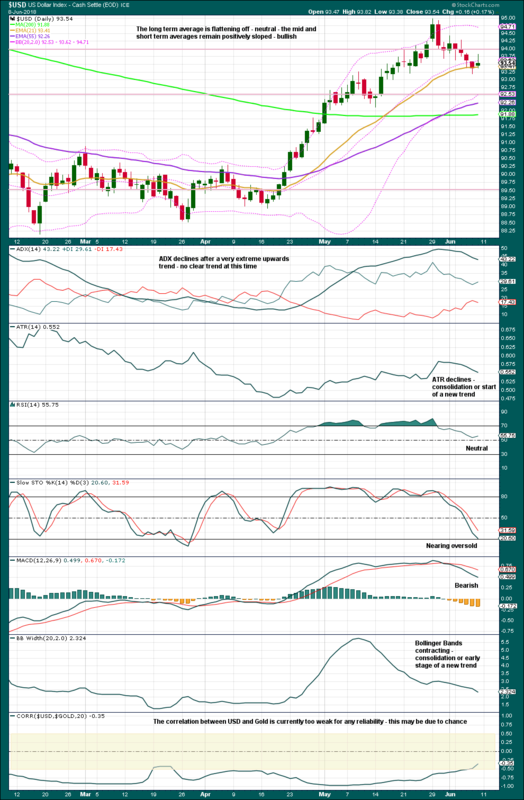 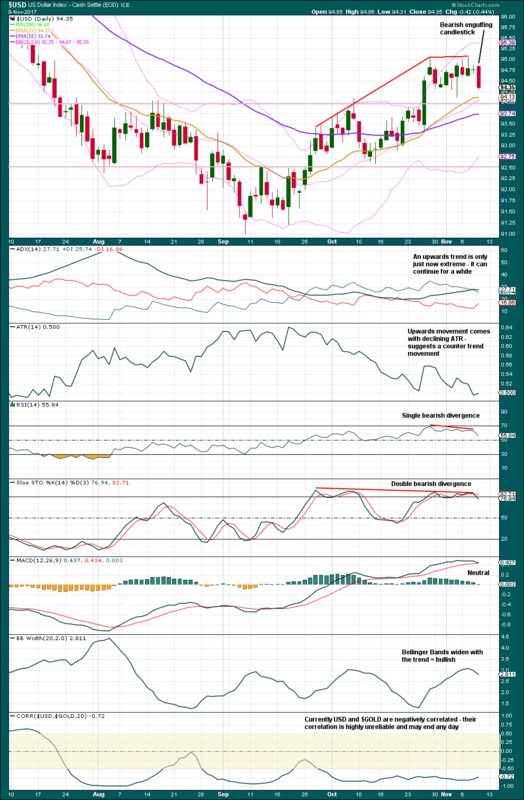 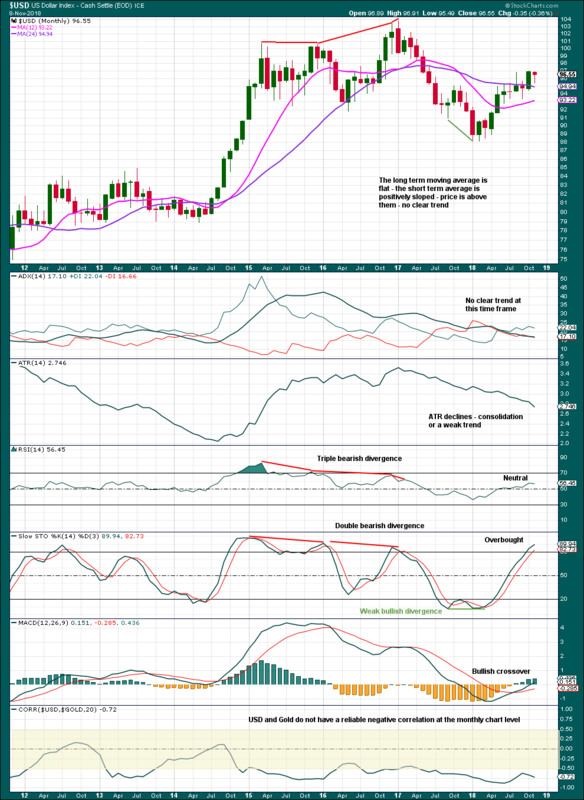 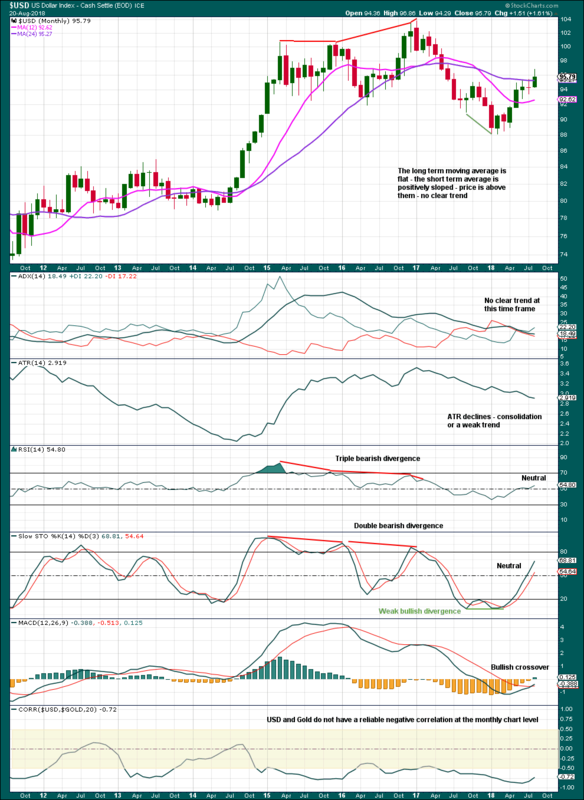 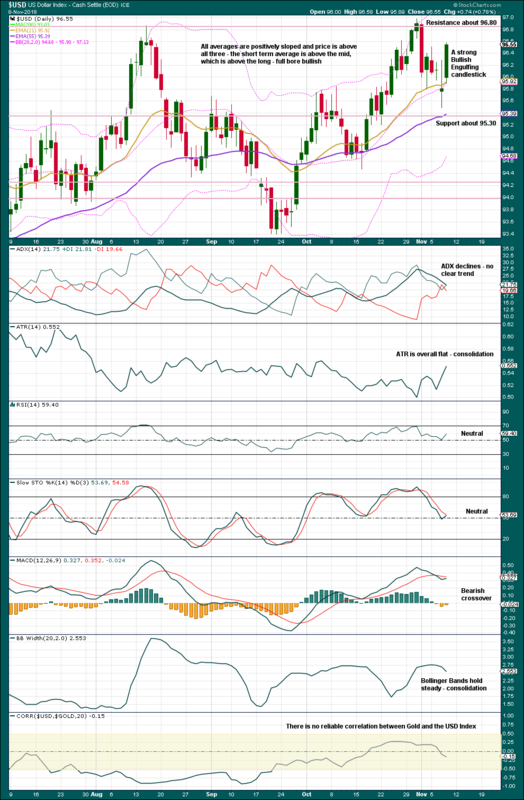 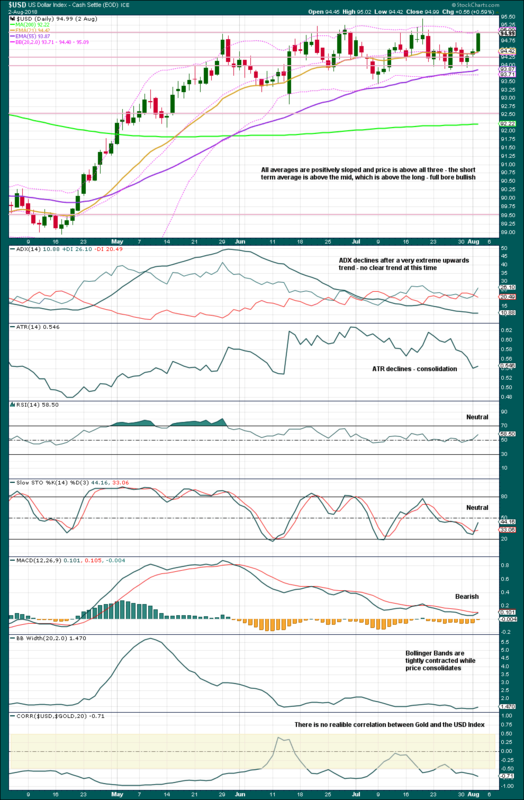 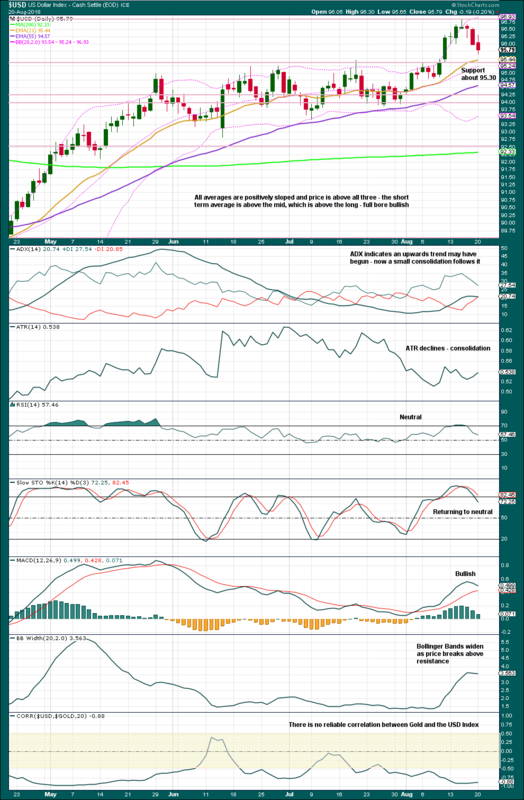 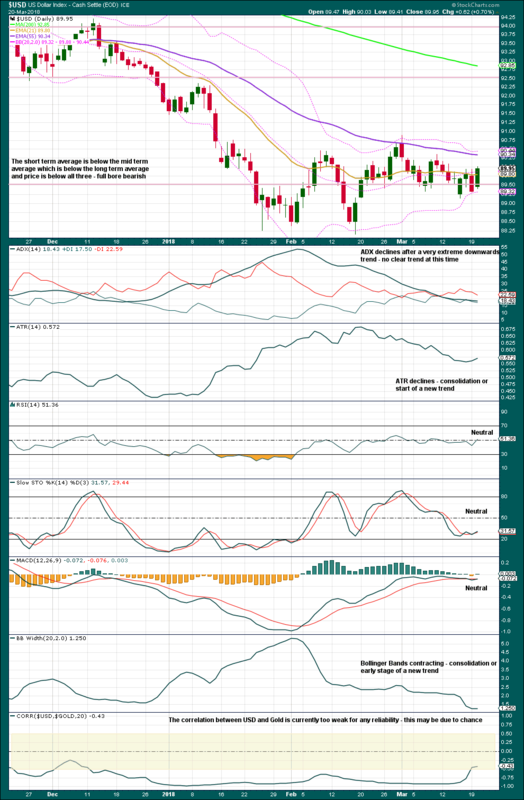 This should be followed by a three up that may correct to about the 0.618 Fibonacci ratio at 97.57.